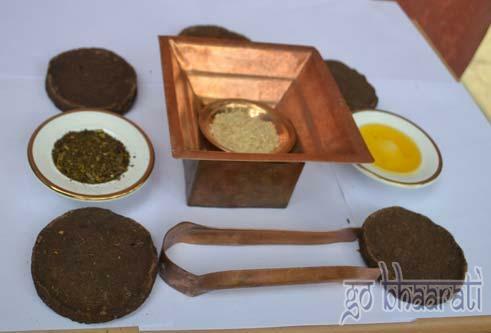 Purify and cleanse your environment with our highly effective Agnihotra Kit. Agnihotra practice is an ancient healing practice that heals the atmosphere and in turn heals the practitioner.Agnihotra calms down the practitioner and helps to heal the surroundings from negative energy.Agnihotra comes from the Vedas. It is said to be mentioined in Atharvaveda,Yajurveda Samhita and Shatapatha Brahmana and is a simple yagna (offering) performed at precise timings for sunrise and sunset.